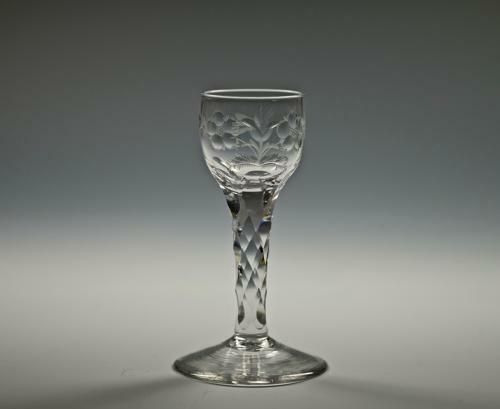 Wine glass the ogee bowl with engraved and polished floral decoration and an engraved insect on the reverse.diamond facet cut stem an a plain conical foot. English C1780. Note: A particularly nice well made little glass.